A recent Wall Street Journal article by Francesco Guerrera, Lenders Looking All Too Similar, quoted a tycoon as stating he chose his financial services on price, because “in the end, banks are really all the same”. This is the last thing any of us want to hear about our business, especially if we are in an industry that prides itself on spending a great deal of time developing an understanding of our customers and creating and marketing solutions designed to appeal to their unique needs. 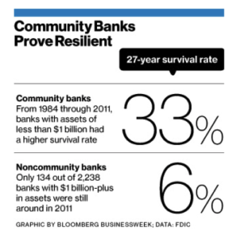 Supporting the belief that strategic innovation can make a difference, Bloomberg BusinessWeek’s article Rural Banks Know Something Big Banks Don’t by Brendan Greeley argues that great customer service combined with other good business practices can produce a good return for shareholders.Over the past year I’ve had the opportunity to work with several community banks and credit unions, and have been impressed with how they are able to defy the premise of the WSJ article. Here are 5 marketing strategies on how nimble organizations have been able to understand their customer and move faster and/or smarter than their larger competitors. 1. Quickly embrace technology that adds value. This is of extreme importance if your long-term business growth requires attracting millennials whose habits rely more on clicks than bricks. The technology that allows us to deposit checks by taking a picture of the check on our phone has been around for about 5 years. Although the large banks have been slow to embrace this technology and most rolled it out in 2012, Summit Credit Union, based in Greensboro, N.C., saw the potential of the technology and launched it about 2 years before some of their larger competitors. Being a leader in sourcing this functionality allowed Summit to enhance their brand image and offer convenience to their customers while gaining operational efficiencies. Are you making smart bets on enhancing your customers’ experience? 2. Understand and improve your process flow. 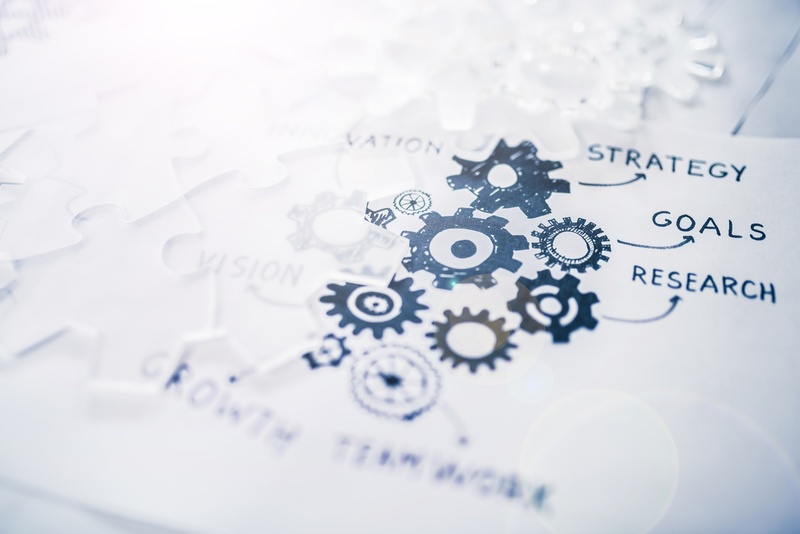 Tom Wayne, CFO and EVP of Bank of Oak Ridge in Oak Ridge, N.C, championed the purchase and installation of a system that, with the help of many others in the Bank, enabled him to develop a process map of their commercial lending process. This has helped the lending team identify a number of areas where hand-offs were not smooth. This resulted in a longer than needed cycle time between identification of a customer requirement and funding a customer’s loan.The Harvard Business Review’s article, Staple Yourself to an Order, by Ben Shapiro et al discusses the importance of looking at how work flows through your organization. The major premise of the article, that orders don’t flow in a way that is convenient to your functional organization, is thought provoking. Have you mapped your core processes from your customers’ perspective? 3. Do your facilities enhance your brand? Many bank branches have, from the customers’ perspective, been designed to reinforce the power of the bank and the banker. For the casual user or millennial, options from other banking channels appear more customer friendly and easier to deal with. Is your facility easy for customers to navigate, finished in materials that are aligned with your image and externally communicating an image that resonates with customers and employees? Clay Elder, CEO of ESD Partners, tells about a bank he worked with that took the simple step of putting a no charge coin counting machine in the lobby. The buildings design enabled the machine to be visible from the street; the banks layout encouraged potential customers to feel welcome to use the machine and then enter the main building to learn more about the banks services. Are your customers (and employees) excited to come to your facility, and do the design cues align with your value proposition? 4. Do your products reflect your customer wants? Bank customers aren’t accounts or dollars and cents; they’re people with needs and concerns. By truly understanding their needs and crafting your products and services in ways that uniquely meet these needs, you will gain enthusiastic customers (fans) and differentiate from your competitors. Northeast Savings leveraged client insights to become the first bank in the country to offer a CD product that allowed early withdrawal without penalty and with competitive CD yields. This banking product was based on the insight that their customers’ primary concern was their health, closely followed by having access to money to handle their health needs. The product was a rousing success. Additional information on this approach is presented in this blog by ChiefOutsiders CMO Tom McCrary, Chief Marketing Officer for Northeast Savings at the time. Are you taking stock of what matters to your customers? Are you using these insights to drive your products and services? 5. Is your staff adding value for your customers? With the volume of traffic decreasing in branches due to the shift of banking transactions to home computers and mobile devices, many banks have responded by cutting customer facing tellers. Some progressive banks are moving to teller cash recyclers, machines that accelerate the transaction speed and free staff to act as customer service representatives (CSR’s) able to engage in a deeper discussion with customers about their banking needs.By shifting the interaction from a process to a discussion, tellers are now able to identify customer needs and open CD’s, Credit Card Accounts, Checking Accounts and probe for other banking services that may be needed. By redefining the interface from a counter to an island, similar to what is being implemented by many hotels, airlines and car rental firms, customers can stand beside the teller and share the information on the tellers monitor.This can greatly assist both teller and client in discussions about strategies for financial planning. As highlighted in the first point, this embrace of technology enhances customer satisfaction, increases employee satisfaction and engagement, and reduces back shop costs by eliminating the zero-value added steps of counting and balancing cash. Is your customer facing staff focused on helping customers and finding incremental revenue streams, or only in facilitating a transaction? Guerrera’s article contends there are several banking segments, including investment banks, retail banks, boutique banks and others. He states: “within each business (segment) it is hard to spot the difference”. As you work on your business, are you focused on how you can incrementally or operationally be better than your competition, or how you can strategically redefine the customer experience and your business processes to meet the needs of your customers? Which approach will deliver the innovative solutions and strategic growth your shareholders, employees and customers deserve.